Today, you will find casinos, shopping and a fast-paced nightlife. Nassau and Paradise Island are home to a couple of Las Vegas style casinos. First, there is the Crystal Palace on Cable Beach and the Atlantis Casino on Paradise Island. Of the three million annual visitors, many thrill-seekers remain on New Providence; while those seeking solitude and relaxation head to the Out Islands. Ardastra is home to roughly 200 species of animals. Popular species include the Madagascan lemurs, a pair of jaguar siblings, and a small herd of African pygmy goats. However, the stars of the show are the West Indian flamingos. Visitors are delighted when the birds strut-their-stuff. Other species of birds there are Peafowl and Lory Parrots. 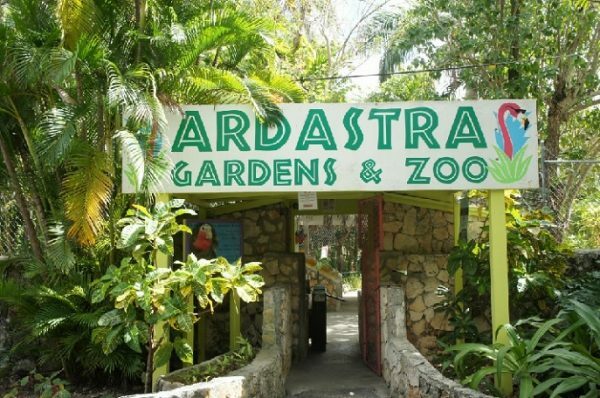 When visiting the Nassau area, Ardastra Gardens is a must see attraction. Junkanoo is a Bahamian celebration of their traditions & culture, which culminates into a grand and and colorful New Years parade. It is a mix of Mardi Gras and ancient African rituals, all-in-one. Bahamians, dressed in colorful costumes parade through the streets to the sounds of drums, cowbells, whistles etc. The museum is located on Prince George Wharf. It houses a diverse collection of Junkanoo memorabilia from past parades. If you have ever wanted to explore the streets and tunnels of the lost city of Atlantis, this is your chance, when you visit the Marine Habitat at Atlantis. With 14 lagoons, 250 species of marine animals and more than eight million gallons of saltwater, this is a must see attraction. One popular event is the feeding of the manta rays, eels and turtles. Parents with small children recommend the habitat for animal loving kids; some say their children were entertained for the entire day. If you’re staying at the Atlantis Resort Bahamas, access to the Marine Habitat is free. For those staying elsewhere, you’ll have to acquire an Atlantis day pass. This grand collection of art is one of the gems of the Bahama Islands. The collection focuses on modern and contemporary Bahamian artists. From folk painters like Wellington Bridgewater to the renowned sculptor Antonius Roberts, this is a must see attraction. Housed in the historic Villa Doyle, this facility contains the National Art Gallery of the Bahamas; this includes sculptures, paintings, textiles, ceramics, photography and other media works. In addition to the attractions, Nassau is the shopping capital of New Providence Island. Popular places to visit include Bay Street and the Straw Market. You will find everything from designer handbags to handmade straw baskets. 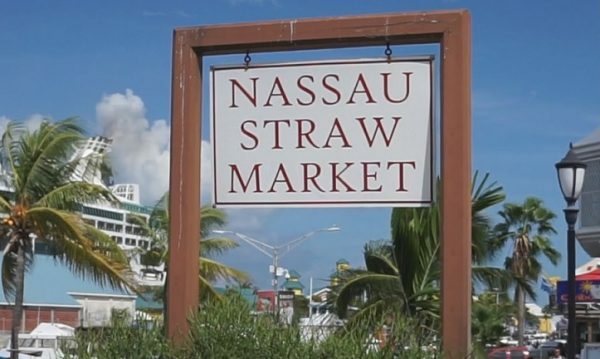 The Bahamas Straw Market is a great place for travelers to find a variety of handmade straw & wooden merchandise. The original market was destroyed by fire in 2001; the market is still not completely rebuilt. Today the straw market is housed in a large tent. However, this is still a great place to shop for unique handmade goods. Bay Street is the most popular and best known place for shopping in Nassau, Bahamas. 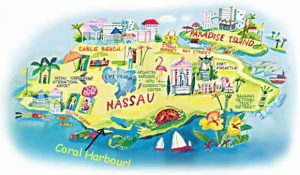 The Bay Street area is only ten minutes from most popular hotels in Nassau. Some of the stores found there include Gucci, Fendi and Cole’s. Also, there are also some excellent local shops that specialize in antiques, leather, linens, glass and beauty products. In addition there are some high-end cigar shops too. When you visit Bay street, you wont be disappointed. During the golden years of piracy from 1690’s until 1720’s, Nassau Bahama’s many protected islets provided the ideal base for the most notorious Caribbean pirates of the past; these include Blackbeard and Calico Jack. This museum of Bahama based piracy gives visitors the chance to learn about the real piracy in the Caribbean. The museum includes a replica of an 18th-century pirate ship. The Pirates of Nassau Museum is open from 9:00 a.m. until 6:00 p.m. Monday through Saturday, and 9:00 a.m. until noontime on Sunday. Sometimes referred to as “the 66 steps,” this is one of the most visited historical landmarks in Nassau. The Queens’s Staircase is located in the Fort Fincastle Historic Complex. Between 1793 and 1794, the stairs were carved out of solid limestone by slaves. Later the stairs were named in honor of Queen Victoria, who reigned in Britain from 1837 until 1901. The steps are steep, but the view is especially nice on a sunny day. This is a great photo opportunity and chance to connect with an important piece of Bahamian history. Enjoyed reading this post on Nassau; Looking forward to new articles from you soon.